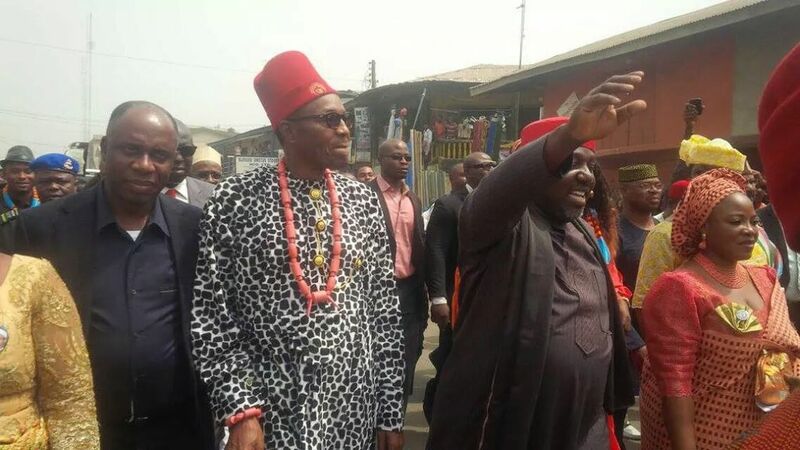 President Muhammadu Buhari has defied IPOB’s warning and is currently in Ebonyi state on a two-day working visit to Ebonyi and Anambra states. Buhari came in through the Enugu airport where he was received by governors of Enugu, Abia and Ebonyi as well as top security officials. The President was thereafter transported to Abakaliki, the Ebonyi capital, where he was also received by some south east governors. President Buhari, shunned the Guard of Honour mounted in his honour by soldiers of the Nkwoagu Military Cantonment, Abakaliki. The President however, shunned the IPOB warning, stressing his administration would rather ensure all regions of the country enjoy the dividends of democracy regardless of political or ethnic affiliations.